Bring your property to life with a unique Italian Renaissance structure. A pergola or arbor is a unique garden feature forming a shaded walkway or sitting area of vertical posts that support crossbeams and lattice. 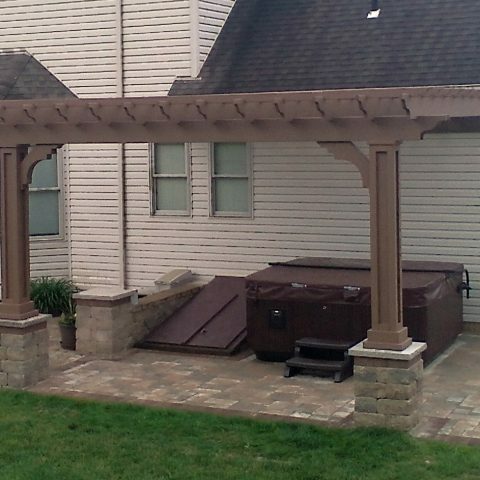 The origin of the word is the late Latin pergola, referring to a projected eave. Our cedar and wood pergolas are from a select grade of wood, planned, then hand-sanded and cut by skilled Amish carpenters, in a climate-controlled shop to avoid warping and twisting of the wood. Our many styles and options are sure to please your unique tastes. Whether your patio needs a shaded spot to entertain, your garden needs a charming centerpiece, or you need a space to curl up with a book, surrounded by rosebushes, you might just have found the answer. We offer three different materials for our pergolas. Maintenance free vinyl, cedar wood, or pressure treated pine wood, with many different sizes and styles available these bold, stately structures with the highest quality materials will be sure to provide a lifetime of memories. 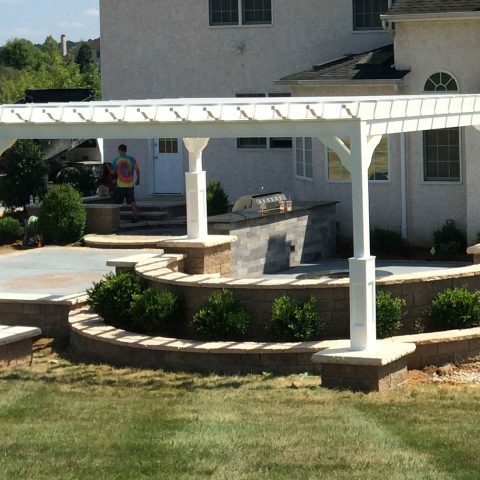 We ship our pergola kits all over the U.S.A. and we have our own professional carpenter crew that will deliver an install your pergola anywhere along the East coast and most parts of the Mid-West. 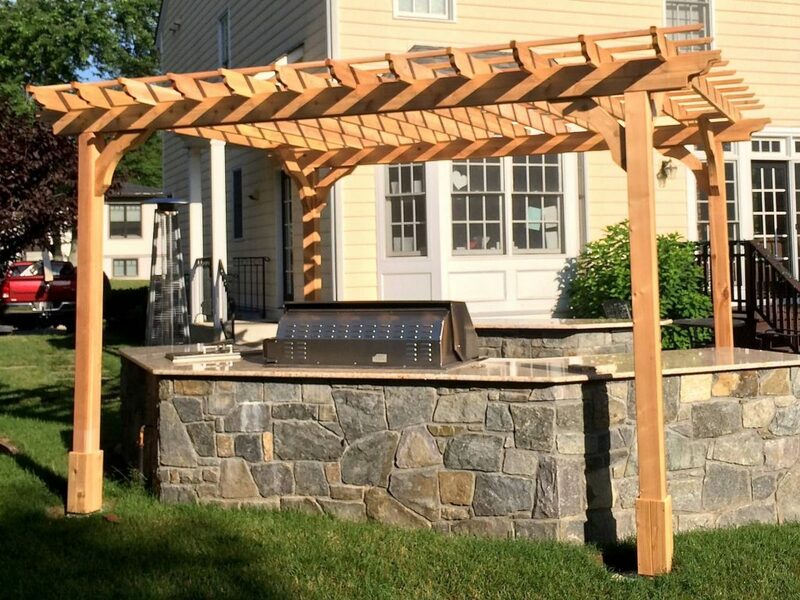 We take pride and joy in making your pergola kit purchase a smooth, hassle-free experience! Check us out! 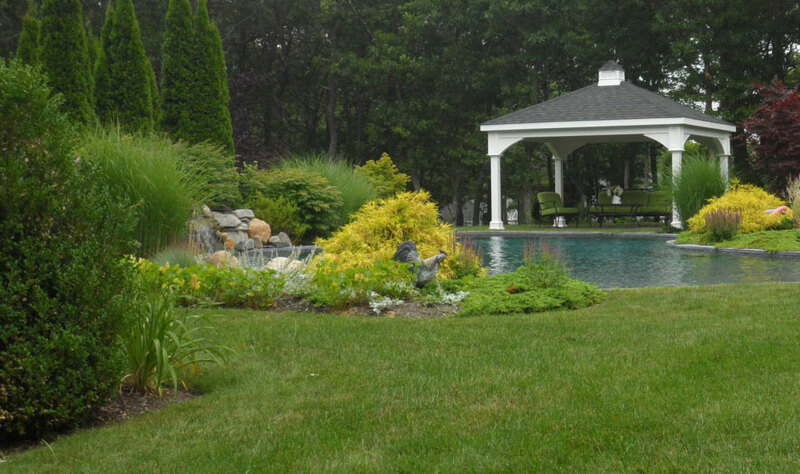 Give us a call today to let us help you pick a pergola that will fit your lifestyle. It depends a lot on what size your patio or your backyard is. 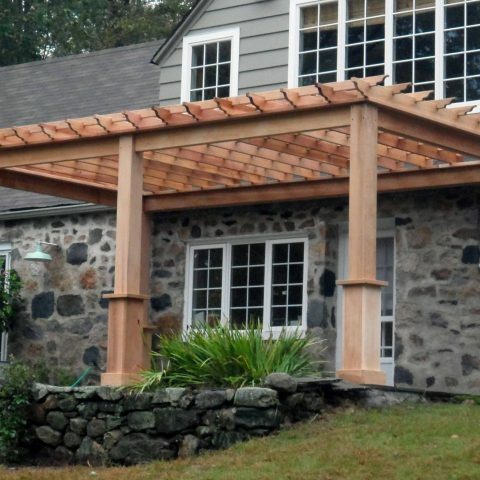 Our 12×16 pergola is probably the most popular size that we have. This is large enough to have a table and few chairs undeath comfortably.